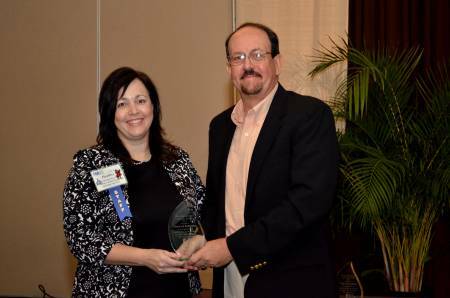 COLUMBIA, S.C. – The Town of Johnston was recognized by the South Carolina Municipal Insurance and Risk Financing Fund for workplace safety in the Division I category. Division I was for cities and towns with less than 50 employees. The South Carolina Municipal Insurance and Risk Financing Fund, sponsored by the Municipal Association of South Carolina, is the town’s property and liability insurance provider . The Town of Johnston has been a member of SCMIRF since 1998.With limited resources, the town has used the services provided by SCMIRF such as the model law enforcement policies and customized training. Utilizing these services has allowed the town’s police department to stay abreast of the latest changes in the legal landscape associated with public safety. Award winners were determined based on a formula that includes the number of hours employees work along with the severity and frequency of incidences on the job. There were three population divisions with one winner in each division. Winners received a plaque, $2500 to purchase safety equipment and training for their municipal employees, and a recognition luncheon. Town officials were recognized at the Municipal Association’s Annual Meeting on July 19. The SCMIRF program is member-owned and was established in the 1980s as a response to the lack of stable and affordable property and liability coverage for SC cities and towns. In addition to the property and liability coverage designed specifically for municipal governments, SCMIRF also offers free onsite and online training, grant funding, access to a labor hotline and other benefits. One Response to "Johnston Wins Workplace Safety Award"
Congratulations! I believe the Town of Johnston will pay more attention on workplace safety for their municipal employees after winning the award.